If you’re planning to spend the money and time to go on a cruise in 2019, you may as well choose an itinerary that knocks a destination or two off your bucket list. To help with your research, consider the following list of the best cruises for 2019, which set sail to places most people only dream of seeing. Many people with a serious bucket list strive to check off all seven continents. Enter Wayfairer Travel and its range of cruises to Antarctica. The U.K.-based luxury travel provider focuses on responsible tourism while offering truly special itineraries such as the two-week Antarctic Circle Cruise, which really does go to to the ends of the Earth—farther than most Antarctic cruises, anyway—by crossing well into the Antarctic Circle. After arriving in Ushuaia, Argentina, you’ll cruise the Drake Passage and explore the South Shetland Islands as well as the Antarctic Peninsula. Then you’ll cross into the Antarctic Circle itself, where few tourists ever get the chance to visit, and which is only accessible during certain months when the ice has melted enough to allow safe passage. The next departure date is December 21 (in 2020, it’s January 30 and March 1), so cruisers will experience the midnight sun of Antarctica’s Southern Hemisphere summer. Along the way, you’ll ride down the Gullet’s narrow channel, encounter orca whales and leopard seals, bask in endless white landscapes, visit Crystal Sound, and take Zodiac excursions—all included. Optional add-ons include an Antarctica camping experience, kayaking, add-on time in Buenos Aires, and a tour through Tierra del Fuego National Park. Your ship is the eco-friendly G Expedition, which has a 360-degree observation deck. For those who aren’t convinced that Antarctica should be a bucket list cruise item, consider this: The quickening effects of climate change may mean that seeing the Seventh Continent in its natural state may, at this point, be a once-in-a-lifetime opportunity. A round-the-world itinerary is one of the ultimate bucket list cruises, and the reason why is pretty obvious: During one comfortable trip, you get to experience dozens of diverse ports of call. Just plan and pay for one itinerary, et voila—Planet Earth is your oyster. 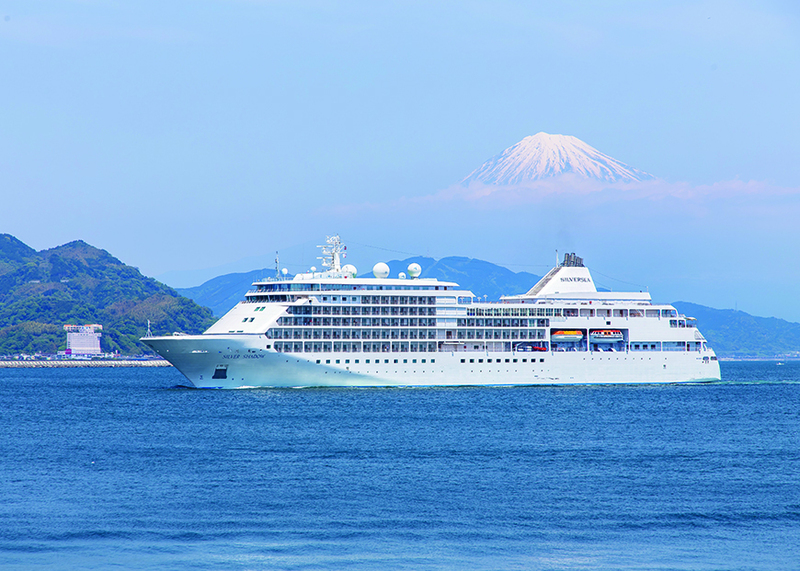 There are several worthwhile world cruises setting sail in 2019, but one in particular stands out for its sheer star power: Silversea’s 133-day writing-themed Tale of Tales voyage aboard the newly refurbished Silver Whisper. Nine acclaimed creatives will be aboard to edify guests, including authors Pico Iyer, Alain de Botton, and Paul Theroux. Each of these luminaries will create a work of art to commemorate the journey, which will go into an exclusive anthology that cruise passengers get to keep. Granted, the “Tale of Tales” departed in January (from San Francisco), but you shouldn’t let that stop you from jumping right aboard this luxurious offering. Select “chapters” of its itinerary are still available to book, including the 16-day Tokyo to Singapore segment to some of Asia’s most vibrant ports, including a two-night stay in Shanghai as well as overnight calls in Hong Kong and Ho Chi Minh City. The ship heads to the rest of the world, including Africa and Europe, thereafter. Aboard the Silver Whisper, guests enjoy suites with ocean views, personalized butler service, 24-hour room service, and unlimited Wi-Fi. Need more lead time to plan a dream cruise like this? Consider Silversea’s 2020 world cruise, Legends of Cruising. Those looking for the best cruises departing in 2019 shouldn’t overlook Oceania’s 25-day Amazon Interlude, which starts and ends in Miami, Florida. Departing on November 23, the voyage’s first port calls are to the Caribbean nations of St. Barthelemy, St. Lucia, and Trinidad and Tobago. Then the cruise veers into the Atlantic Ocean, pointed downward toward the Amazon. You’ll spend seven days along a Brazilian stretch of the Amazon, through dense jungle and rich populations of wildlife, including toucans, sloths, howler monkeys, and pink dolphins. Near Santarém, you’ll see the “meeting of the waters,” where the brown Amazon and clear Tapajós flow alongside each other without mixing. After a week of exploring the remarkable waterway, it’s back into the Atlantic Ocean and up into the Caribbean Sea for sunny stops in French Guiana, Barbados, Antigua, and Puerto Rico, where you can hike El Yunque National Forest. Before heading back to Miami, experience the white-sand beaches of Punta Cana, Dominican Republic. Aboard the elegant Insignia, you’ll enjoy a luxurious stateroom, wine tastings, guest lectures, bridge tournaments, a putting green, a casino and nightclub, and a Canyon Ranch Spa. Disney Cruise Line offers a number of sailings out of New York City each year so that East Coasters can get their bucket-list kicks. In 2019, Disney’s NYC departures include two eight-day voyages that let passengers experience not just the Bahamas, but also Walt Disney World in Orlando, Florida, as well as Disney’s own activity-filled tropical private island, Castaway Cay. During the Florida stop, every cruise passenger gets a one-day Disney World Park Hopper ticket, plus round-trip transportation to the theme parks from Port Canaveral, where the ship docks. Both of these dream cruises are aboard the Disney Magic ship; one departs on October 27, with plenty of Halloween festivities included, while the other sets sail on November 3. Cunard’s 34-day Southampton (U.K.) to Fremantle (Australia) itinerary, aboard the legendary Queen Elizabeth, is a three-continent extravaganza that starts out in England, then jumps down to Lisbon, Portugal, where travelers wander the medieval Alfama quarter, visit St. George’s Castle, and take in the city’s other famous sights. From there, it’s on to beachy, artsy Tenerife, Spain, and then all the way down to Walvis Bay, Namibia, where you’ll explore the desert or coast. Up next is Cape Town, South Africa—where you can visit a game reserve and taste wine—and then sunny Port Elizabeth, South Africa, where excursions might include whale watching, visiting an elephant park, or sampling the vibrant culinary scene. The next stop is Le Port, Reunion, just east of Madagascar, rich with French Creole culture—here, you can drive to an active volcano, tour a vanilla plantation, or visit a turtle observatory. Colorful Port Louis, Mauritius, is your second-to-last stop; make the most of it by exploring the historical tea route. Finally, you end up in Perth, Australia, where you can take a walking tour, a river cruise, or have a wildlife encounter. 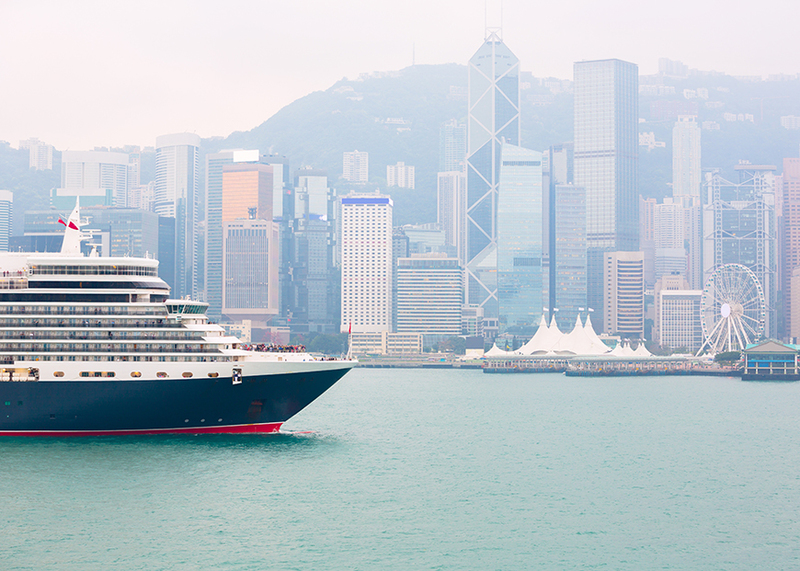 While aboard the Queen Elizabeth, you’ll enjoy elegant art deco accoutrements, exceptional service, nightly entertainment, gala balls, Broadway-caliber productions, Shakespearean plays, music, comedy, and more, all at no extra cost. Also included: traditional afternoon tea service, an elaborate wine program, children’s facilities, and sports and fitness activities. Definitely a 2019 dream cruise, this sailing departs on November 3. When searching for 2019 cruises, history buffs and military veterans would do well to consider the 75th Anniversary of D-Day Cruise, hosted by the National WWII Museum. There are two concurrent sailings of this 10-day itinerary, one departing May 29 aboard Seabourn’s Ovation and the other departing a day later on Regent Seven Seas Navigator. Both ships will follow the path that Nazis took in their bid to conquer Western Europe, and the Allies’ efforts to beat them back. The itinerary starts in the Netherlands, then heads to Belgium to visit Bruges and Ghent. Other stops, chosen for their critical significance during World War II, include Rotterdam, Dunkirk, and Calais. Capping the trip are four nights along the Normandy beaches, allowing passengers the opportunity to pay tribute at somber battleground sites and, on June 6, be present at the 75th anniversary ceremony at the Normandy American Cemetery, before an overnight sailing across the English Channel to disembark in Dover. To further bring history to life, a stellar lineup of World War II historians, scholars, authors, and veterans will be aboard to present lectures, lead tours, and answer questions. The ultimate bucket list cruise for every lover of nature and animals is, of course, a sailing through the Galapagos Islands. In 2019, one of the premier offerings of this type is Surtrek’s eight-day cruise aboard the Alya catamaran. It weaves through the archipelago to visit the Santa Cruz, Santiago, Isabela, Rabida, and San Cristobal islands, making plenty of stops to appreciate the distinctive wildlife that inspired Darwin. Prepare to behold colonies of dwarf penguins, blue-footed boobies, brown noddy terns, swallow-tailed gulls, black-winged stilts, and thousands of marine iguanas at Espinoza Point. You’ll have many opportunities to snorkel and see swarms of tropical marine life, including whale sharks, batfish, manta rays, octopi, and sea lions. 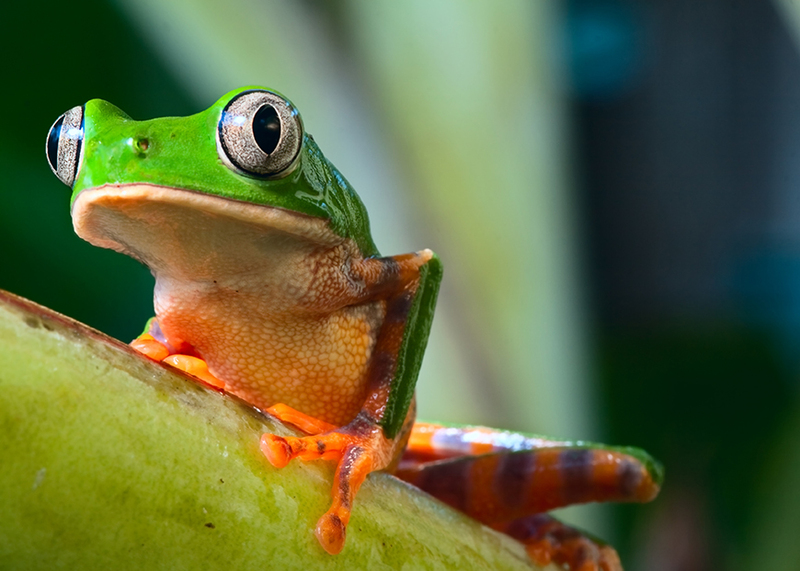 Highlights of the itinerary include visiting Galapagos National Park, meeting farmers who grow organic Galapagos coffee, exploring Moreno Point’s volcanic terrain, learning the buccaneering history of Isabela Island’s notorious Tagus Cove, watching as sea turtles nest at Las Bachas Beach, and delving into lush mangrove forests filled with birds that live only there. Your vessel is the new 16-passenger Alya, an intimate yacht with nine attractive cabins, private balconies, and an outdoor hot tub. Uniworld’s 13-day India’s Golden Triangle and the Sacred Ganges journey is a transformative experience for body and soul. The company’s new wellness river cruise kicks off with a five-night overland portion in India’s “Golden Triangle”—Delhi, Agra, and Jaipur—while overnighting in exquisite Oberoi hotels. In Delhi, guides take you through the capital city to see fragrant spice markets and important monuments, including the black-granite Raj Ghat, a shrine to Mahatma Gandhi. After Delhi, a motorcoach transfers you to Agra to see sunrise and sunset at the resplendent Taj Mahal. Then it’s onto Jaipur, Rajasthan’s “pink city,” to see the Amber Fort and Jantar Mantar, an ancient observatory. A flight takes you to Kolkata, where travelers pay tribute at Mother Teresa’s home and tomb; Kolkata is also where you’ll board Uniworld’s Ganges Voyager II (outfitted with French balconies, an observation deck, a fitness center, and a spa) for a voyage down the holy Ganges River. Cultural excursions along the Ganges include stops in Kalna, India’s Hindu “temple city”; Matiari, a West Bengal artisan village; and Murshidabad and Baranagar, Bengali towns holding wonders such as a palace with a thousand doors. Between stops, partake in the onboard wellness program and activities, including yoga classes, guided meditation sessions, talks on living holistically, and the accompanying “Nutrition and Wellness Food” menu, offering healthy and organic options at every meal. In 2019, departures are in February, March, October, November, and December, with additional sailings in 2020. Those shopping for affordable cruises in 2019 will appreciate Princess Cruises’ 15-day Hawaiian Islands offering, which sets sail from Los Angeles and lands first on Hawaii’s Big Island, home of Volcanoes National Park, black-sand beaches, tropical gardens, and impressive waterfalls. Oahu is next on the itinerary, with its capital city of Honolulu, famous Waikiki Beach and Diamond Head Crater, the North Shore’s surfers’ paradise, and the USS Arizona Memorial, site of the Pearl Harbor bombing. The ship then sails to emerald-green Kauai; behold the awe-inspiring Waimea Canyon, tour a sugar plantation, zip-line the forest canopy, or wave to a sea turtle while snorkeling. On laid-back Maui, the highlights include Haleakala National Park, the Maui Ocean Center, and the road to Hana. After re-crossing a large swath of the Pacific, the cruise stops in Ensenada, Mexico, where travelers watch mariachi musicians perform, shop for artisan souvenirs, and gawk at La Bufadora, the world’s largest marine geyser. Then it’s back to sunny Los Angeles—stay a few days to enjoy the vibrant culture, legendary beaches, Hollywood sights, and cluster of theme parks. In 2019, this cruise departs in February, March, April, November, and December, with additional 2019 cruises to Hawaii leaving from San Francisco, as well as Vancouver, Canada. You’ll be aboard one of three ships: the Emerald Princess, the Ruby Princess, or the Star Princess, each of which boasts hundreds of balcony cabins, extensive entertainment options, many dining venues, a casino, a spa, a nightclub, and the Discovery at Sea speaker series. These ships are especially known for welcoming to the youngest onboard with enriching facilities and activities, including Camp Discovery youth centers, an indoor planetarium, live critter experiences, and “Animal Planet”-branded shore excursions. Enjoy the otherworldly phenomenon of sunlight deep into the night with a Royal Caribbean cruise into the Arctic Circle. Perfectly timed for kids’ summer breaks, Royal Caribbean offers 12-day Northern Europe jaunts that depart on June 7 and June 9, aboard either Jewel of the Seas or Serenade of the Seas, ships that offer Broadway-style theater shows, rock-climbing walls, poolside movies, miniature golf, an adults-only Solarium, and much more. You’ll spend the next few days at sea, heading up along the Norwegian coast; keep an eye out for whales. The next stop is Tromso, Norway; take the Fjellheisen cable car ride up Storstein Mountain, and visit the Polaria Museum and its Arctic aquarium. From there, the cruise makes stops at several other Norwegian destinations—scenic villages where you can try distinctive local cuisines, shop for artisan goods, and sip at breweries. On your arrival day back in Copenhagen, cruise the canals, and if you’ve got kids with you, stay a while and take them to the Experimentarium, the Copenhagen Zoo, and charming Tivoli Gardens, the amusement park said to be the inspiration for Disneyland.